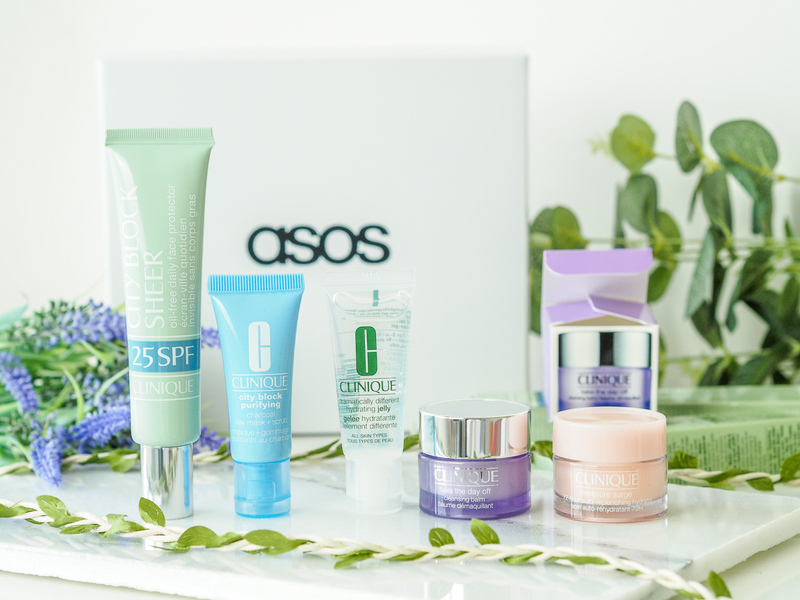 If you’re a frequent reader of my blog, you’ll know my love for both Clinique skincare and ASOS. I make an Asos purchase practically every week (the free next day delivery for a year is just too tempting) and Cliniques skincare has been something that I’ve been slowly trialling and loving. The first product I fell in love was Moisture Surge after getting a sample at a blogging event. After my joy with this, and after reading a lot of great reviews I gave the Cleansing Balm a go and loved it just as much. 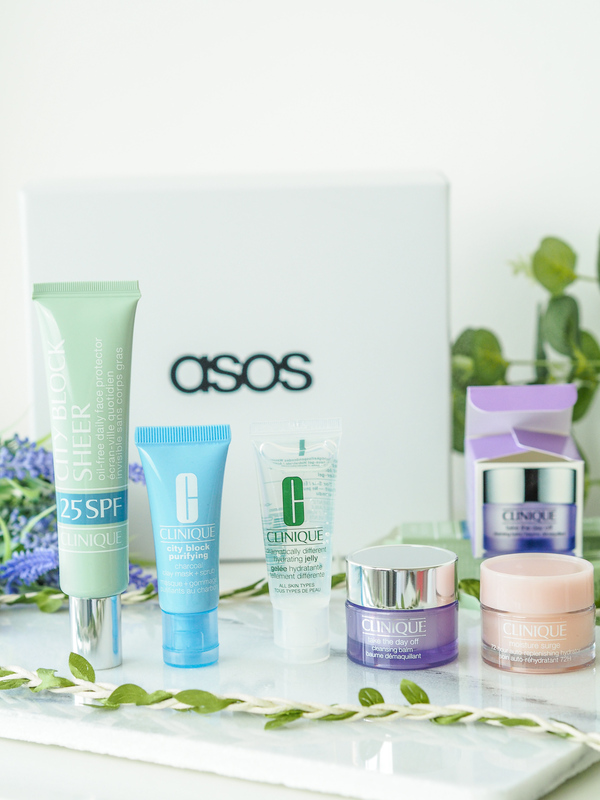 So, you can imagine my joy when I found out Clinique is finally stocked on Asos! The city block purifying clay mask and scrub is £29 usually for the 100ml full-sized bottle and is a dual-action mask that purifies and polishes the skin. A deep-clean treatment, it contains natural bamboo charcoal and kaolin clay helps to remove impurities and pollution, and natural silica beads refine texture. I’m excited to try this because I’m a total sucker for a clay mask! The city block sheer 25 SPF face protector is actually a full-size product, costing £19, so this shows how worth it the box is!! This is a daily suncreen, perfect for this time of year. It’s got a lightweight formula that helps wick away perspiration and absorbs excess oil and can be worn alone or as a primer. I’m keen to give this a try and see especially how it sits under my foundation. Next up is my favourite, is the take the day off cleansing balm which is usually £24 for a 24ml full-size pot. This is a lightweight balm that turns into oil on application and removes make-up. I know from experience this is a brilliant product and I’m grateful to have a mini version now which I can take away with me! The dramatically different hydrating jelly is usually £31 for the full size 125ml. This is a new product which is a 24 hour hydration with clean shield technology. It strengthens skin’s moisture barrier and improves resiliency, is oil-free leaving no residue and leaves skin smooth, strong and with a pure and clean glow. I’m intrigued to see how this faces up against my beloved moisture surge because the texture sounds similar. The moisture surge 72-hour hydrator costs £24 for double the size of this mini at 30ml. This is another of my tried and tested, and one of my favourite all-time moisturisers. This is a light and refreshing gel cream that keeps skin almost twice as hydrated at the end of the day than it did before. It helps plump up fine, dry lines and quickly restores hydrated and binds water to skin. It also helps restore proper moisture balance whilst helping to protect against environmental damage. I’ve found this to be a really light and easy moisturiser, soaking in quickly and leaving no greasy residue. I’m so happy to have some back in my life, even if it is only a mini! 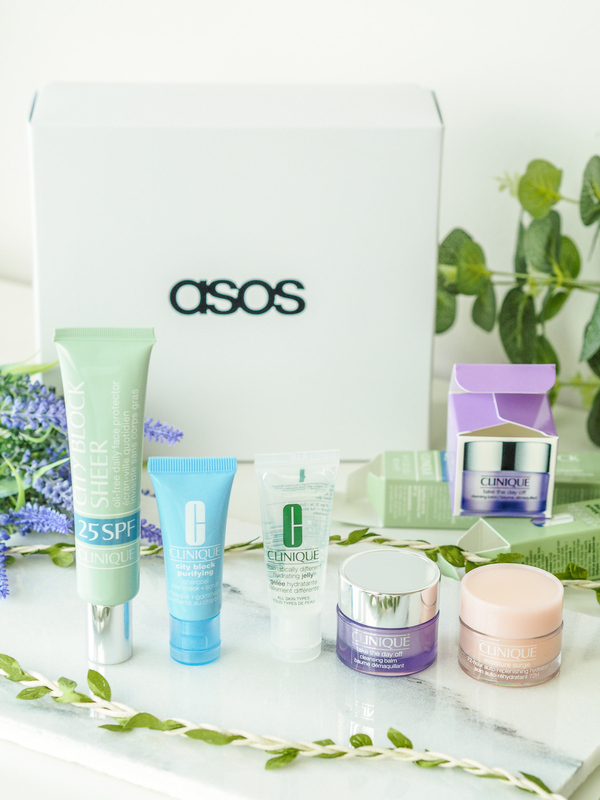 The ASOS Clinique Box is available here, for the bargain price of £15. Are you going to get it? "How to improve your blogs Domain Authority"
"How to feel confident in front of the camera"